Emanuel Assembly is blessed with a staff that serves to build a church that resembles the communal diversity of eternity. With their selfless dedication and service, the church continues to thrive and impact the community with unconditional love and compassion. Lupe is a Certified Nursing Assistant for Maranatha Village Continuing Care Retirement Community and has been there for 14 years. She's been in ministry for 20 years and has served in various roles. But her greatest joy is supporting her husband Pastor Steve in ministry and being a mother to their kids: Brittney, Will, CJ, and Nani. Joelynn is one of the managers at North La Quinta Inn here in Springfield. She loves her family, especially her son Keoni, her pride and joy. She ensures are "books" are kept and bills are paid. She's a blessing at EAG. Nila retired from the Springfield Public Schools as a Food Service Specialist. She now spends her time caring for her husband Ed and faithfully serving the Lord at EAG. She loves her kids, but especially her grand-kids who she regularly cooks for at her home. Tai has been involved in ministry for over 20 years beginning with her home church back in American Samoa. She loves spending time with her kids: Barrek, Bendicion, Bohdan, and Blessing. Together with her late husband, Misikopa Fata, they were in ministry for over 10 years. Her love for the Lord is infectious and it definitely shows by how she serves Him in her various roles at EAG. Pasa began serving the Lord at a very young age. She has been in many roles in ministry, but her passion was always praise and worship. She spends her time writing music, which hopefully she can "cut a track" later. She's married to Pastor Kyle and both love serving the Lord in their roles at EAG. "MJ" hails from the "Windy City" of Chicago. He is currently attending the Assemblies of God Theological Seminary finishing up his Master of Divinity. He loves serving the Lord, especially helping out and working with the college level students. 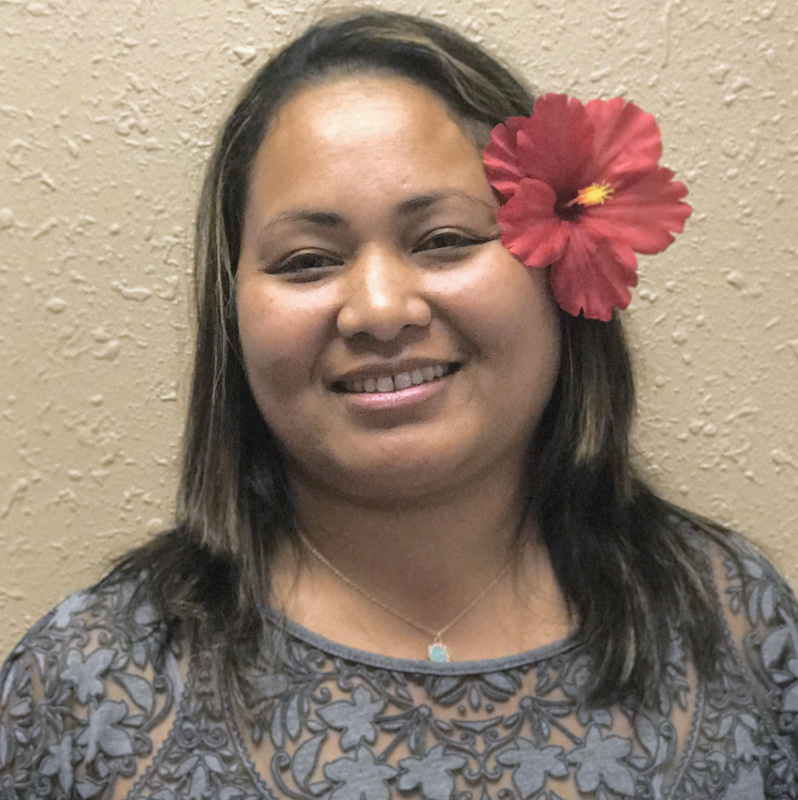 Lillian has been in ministry all her life as she grew up in American Samoa helping her parents who were associate pastors at Aua AG. She currently works at the Assemblies of God National Leadership and Resource Center as a Contributor Service Representative. She loves supporting her husband Pastor Larry in ministry and being a mother to their kids: Anj, Larson, and Logan. Angiel and her family, her brothers and sisters, have been serving the Lord for a very long time. She is such a blessing to EAG as she faithfully leads the Children's Ministry. She loves spending time with her family, but especially caring for son Niel. She's such a blessing at EAG.